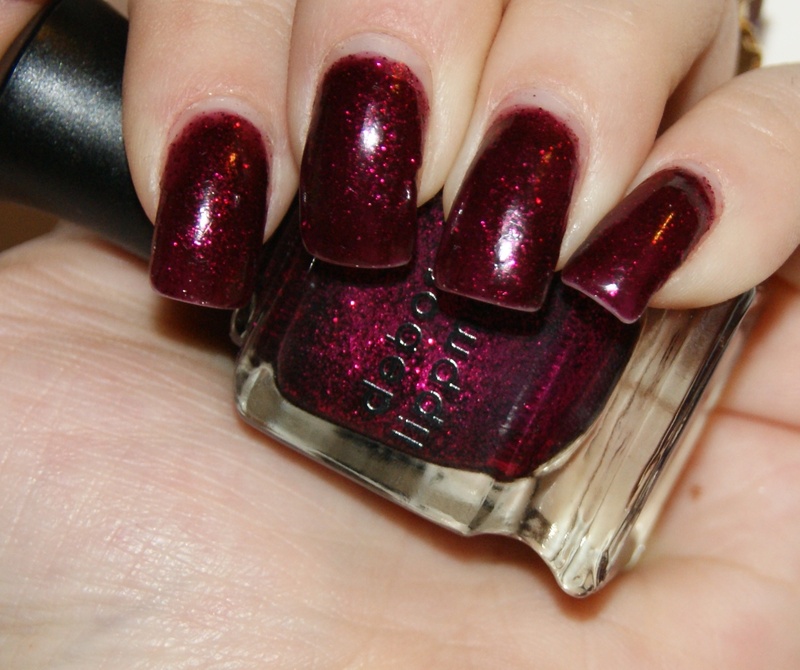 I have never owned a single Deborah Lippmann polish before. To pay $18 for a REALLY small bottle is really hard to justify on a college budget. Sure, I have splurged on Nails Inc. magnetic shades, but those have more polish in them and well... they're magnetic. 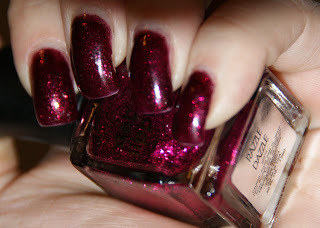 Razzle Dazzle is a cranberry jelly with suspended fuschia glitter that evens out rather nicely. I'd go so far as to say it is glass-flecked, since there is no texture even after a single coat on the nail. Three coats built up entirely opaque. Do any of you ladies own DL polishes? If so, which ones and which is your fave?